Entrepreneurs, be it owners of small or big businesses and belonging to all domains are required to adopt the latest technology for promoting their business. it has been noticed that those who have implemented it sooner, have been able to witness quick and better results, thus leading to better branding, improved sale volume and profits. However, those who have refrained or simply did not adopt technology only have witnessed steep decline in their sales and profits, while some even are reported to have shut down their business completely. According to the industry experts, the internet does play a significant role in each and every aspect in today’s modern life and business. Understanding this importance can help the entrepreneur to benefit from the different opportunities that is present to help grow the business by leaps and bound. It also helps business operations to be made more effective. Why use of internet is crucial for modern business? The introduction of high speed internet is said to have changed the very way how business establishments functions and operations. It also has contributed towards business growth and success. · Growth: With adoption of internet in the business, organizations have been able to reach wider global audience. Sales volume is also increased through web promotion of the business, thus helping it to reach its desired growth level. It also provides establishments with the opportunity to expand. · Communication: It has become possible for the business to communicate fast with its potential and existing clients in a cost efficient manner through the web. The latest internet technologies are used like Skype net and video calls, video and email conferencing, which makes communication almost virtually instant. · Recruiting and networking: There have come up numerous popular social networking sites that do play a crucial role by helping to enhance business networking with like-minded professionals. It has become possible to identify talented employees and business partners. · Marketing: Advertising and marketing is another major significance of internet for business establishments. Now, services and products can be sold through the web to the global audience, without any geographical limitation. 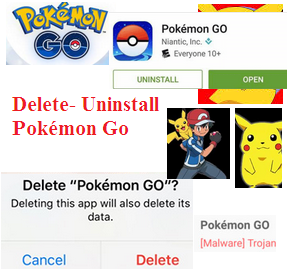 Some of the popular search engines used is Google, Yahoo!, etc. · New opportunities: Adoption of high speed internet in business only has helped the establishment to explore new opportunities. As a matter of fact, the web has been able to help small entrepreneurs to give the bigger ones a tough fight. · Role of online shopping: The other importance of internet is it’s giving birth to online payment solutions and ecommerce websites. This has only helped people in general to shop their favorite products and services from any place and at any time without any hassle. · Outsourcing services: The introduction of the web also has helped in cutting down expenses. This is made possible by outsourcing selected work to professionals located in other parts of the world. These professionals are known to charge reasonably without compromising on their work quality. Outsourcing not only helps the business to reduce costs drastically, but also enables the entrepreneur to focus on the core services like customer management and retention. In short, the internet only has helped entrepreneurs and customers to get connected with each other. It has helped to improve the overall global economy as well as lifestyle of the common people including business success. 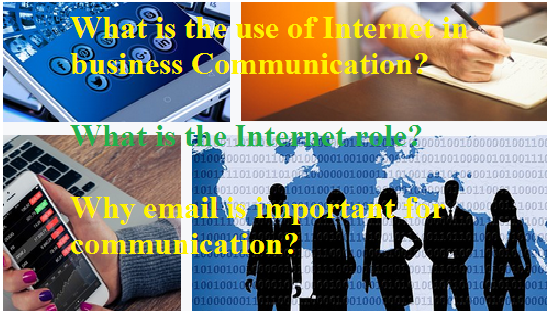 What is the use of Internet in business communication? What is the Internet Wiki? Why email is important for communication? What are the advantages of using email? What is email used for?